In 1858 the Brighton Guardians were beginning the process of building a new workhouse with an industrial school located about two miles away at Warren Farm in Rottingdean. The aim of the school was to give pauper children a basic education and a grounding in industry so that they could go out and earn a living (reducing the likelihood they would be a burden on the system in the future). The school opened in 1862, boys were taught trades such as gardening, tailoring and shoemaking whilst girls were taught domestic service. There was a school band and many boys were taught to play an instrument, often leading to a career in an army band. 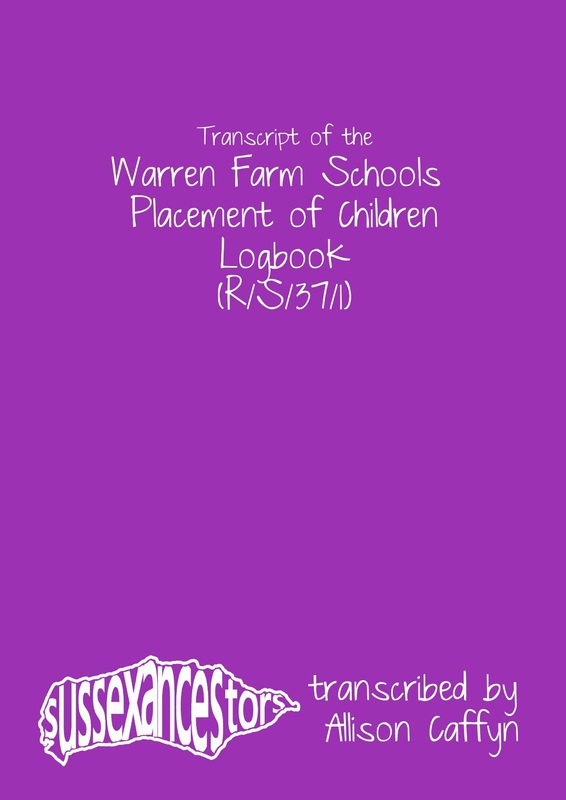 The school produced a variety of records including a log book which lists the children as they were placed in employment. 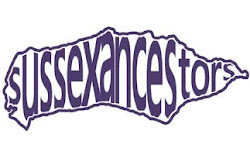 The log book is now at the East Sussex Record Office (reference R/S/37/1) and covers the period 1891 to 1935 which means along with the two further volumes there are records up to 1951 but as they are affected by the 100 year rule it is only possible to see the entries for 1891 to November 1912 (as at December 2012). I have transcribed the 778 entries currently outside the 100 year rule and they can now be found on my website. They include the records of children such as Frederick Marsden who was found work with Dash Brothers, shoemakers in Portsmouth having "failed for Army Band owing to defective sight of the left eye", Emily Coglan who went to work for Mrs Markham in 1906 as a kitchen maid "she was slightly deaf" and Edith Shepherd who went to work in the laundry in Kemp Town "a willing girl but dull and heavy". I have been researching my Dads family (Marsden) for years & he believed his father & uncles to be from an orphanage of which i could find no record...no wonder, as they were at Warren Farm Schools. Glad to have been of help. All the best with your research. I am also pleased to have found this blog. Frederick Marsden was my Gt Grandfather. Thank you.